Ripple and its cryptocurrency XRP came under fire from the director of the Centre for Evidence-Based Management, Martin Walker at a Parliamentary hearing in the UK on Tuesday. Walker was also previously a developer at the Blockchain consortium R3, so he had the expertise and understanding to express his views. Walker claimed that cryptocurrency and Blockchain technologies were not going to solve the inefficiencies prevailing in the financial sector. The director specifically criticized Ripple’s products. He said the company’s platform offered little more than a SWIFT messaging system currently did. The UK banking giant, Barclay’s Chief Executive Officer Jes Staley stated that the bank had no plans of launching its own crypto-trading desk. This statement was made during the bank’s annual meeting and was in response to a question asked by a shareholder. Earlier this month, news agencies had reported rumours that Barclays had been assessing client interest in cryptocurrencies and that the bank could be contemplating setting up its own desk. However, Staley’s formal denial has put all those rumours to rest. News agencies report another hack attack on crypto-related Twitter accounts. A couple of days ago, Telegram CEO’s official Twitter account was hacked and the scammers offered cryptocurrency rewards for completing a task. Now, the next attack has been on Vertcoin’s Twitter account. An announcement was posted on the company’s page stating that Vertcoin was giving away 10 BTC to celebrate the company’s successes. However, to get those 10 BTCs respondents had to deposit 0.005 BTC at an address that was posted on the page. The cryptocurrency market saw another day of receding trade volumes at $23.49 billion. The market’s capitalization, in contrast, went up to $426.10 billion. 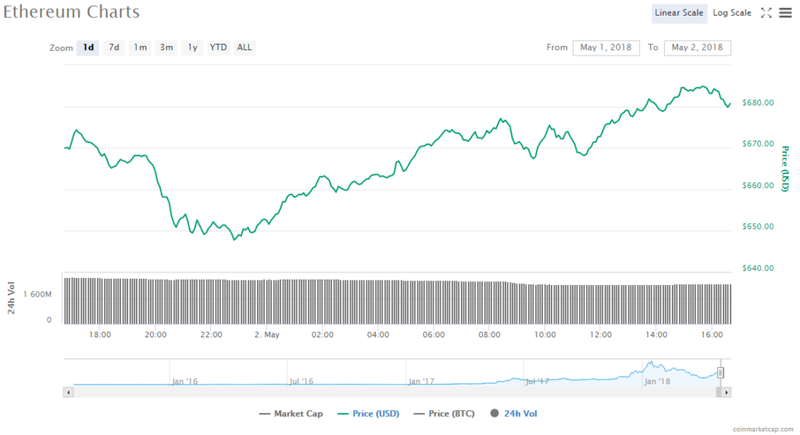 Bitcoin’s token price inched up by 1.78% to trade at $9154.22 in the last twenty-four hours. The cryptocurrency’s trade volume slipped down to $7.04 billion. 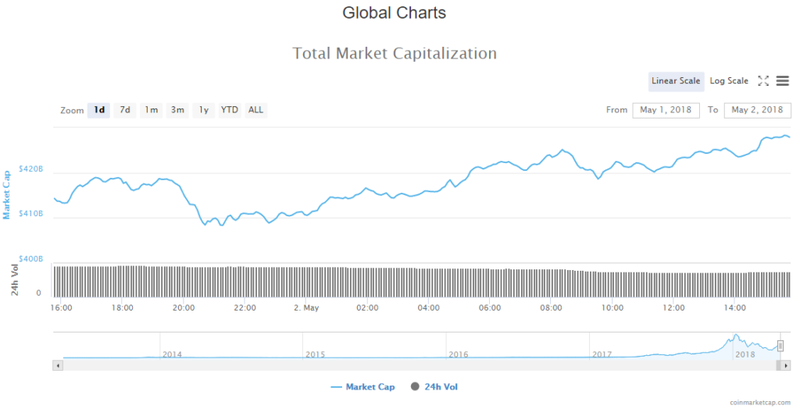 However, BTC’s market capitalization rose to $155.63 billion. Ethereum’s price in the market was at $680.73, a 3.43% increase since yesterday. Trading volume slipped to $2.48 billion. However, the cryptocurrency’s market value went up to $67.53 billion. According to analysts, the cryptocurrency market seems to be going through a slight correction. This can be seen in the prices of the top ten cryptocurrencies, all of which lost value in the last 24 hours. EOS and NEO were the worst performers with losses of 9.77% and 8.17% respectively. Bitcoin saw an increase in its price by 1.78% to $9154.22. The coin’s market value also went up to $155.63 billion. Ethereum’s saw an increase in its price by 3.43% to $680.73. The coin’s market value also went up to $67.53 billion. Ripple’s saw an increase in its price by 4.02% to $0.852591. The coin’s market value also went up to $33.38 billion. Bitcoin Cash’s saw an increase in its price by 3.95% to $1348.73. The coin’s market value also went up to $23.07 billion. EOS’s saw an increase in its price by 8.11% to $18.66. The coin’s market value also went up to $15.49 billion. 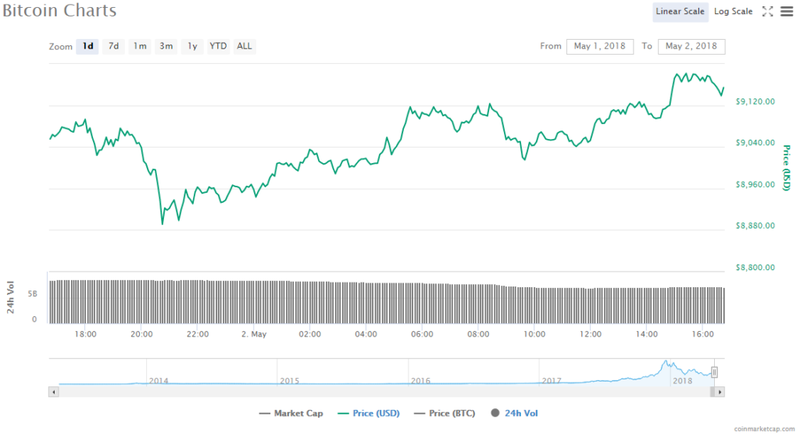 Cardano’s saw an increase in its price by 4.01% to $0.356415. The coin’s market value also went up to $9.24 billion. Litecoin’s saw an increase in its price by 2.11% to $148.26. The coin’s market value also went up to $8.35 billion. Stellar’s saw an increase in its price by 2.68% to $0.445661. The coin’s market value also went up to $8.27 billion. TRON’s saw an increase in its price by 1.27% to $0.090669. The coin’s market value also went up to $5.96 billion. IOTA’s reentered the top 10, replacing NEO after an increase in its price by 5.72% to $2.03. The coin’s market value also went up to $5.72 billion. Coincheck, the Japanese cryptocurrency exchange that was the victim of the massive $532 million cryptocurrency hack in January, announced that it was ending trading in four anonymity focused tokens – Augur (REP), Dash (DASH), Monero (XMR) and Zcash (ZEC). The removal will be in effect from June 18. The price of Bitcoin dropped to the lowest it’s been in the last three weeks in reaction to further sell-offs of the Mt. Gox BTC and BCH stash as well as the flash investigation conducted by South Korean authorities on crypto exchange Upbit.